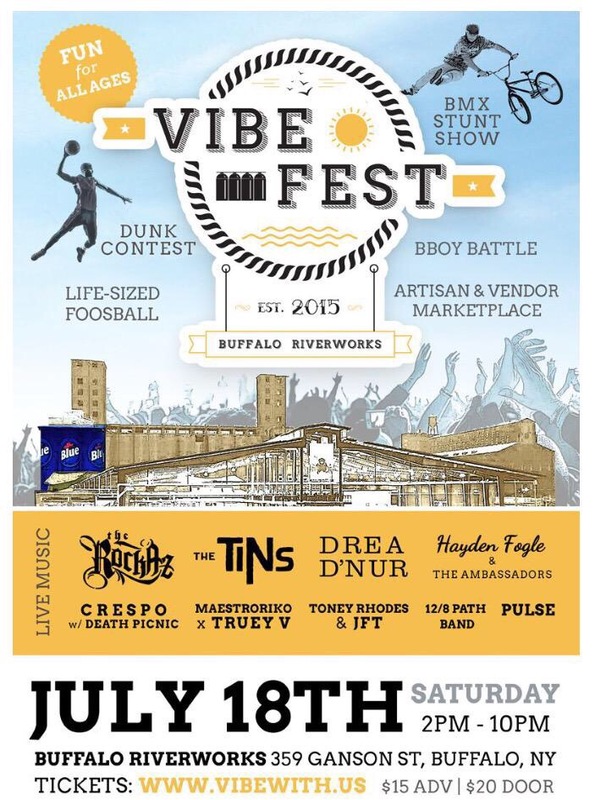 Around BuffaLowe – Vibe Fest featuring Drea D’Nur, Truey , Toney Rhodes and more! – Buffalo [7.18.15] – Be Fearless. Be Flagrant. Check out some of Flagrant City’s favorite artists at VIBE FEST this Saturday 7/18/15 in my hometown of Buffalo, NY!!! Where: Buffalo Riverworks • 359 Ganson St. Performing: Drea D’Nur, Hayden Fogle, DJ Crespo w/ Death Clinic, Toney Rhodes, Maestroriko x Truey V & more!